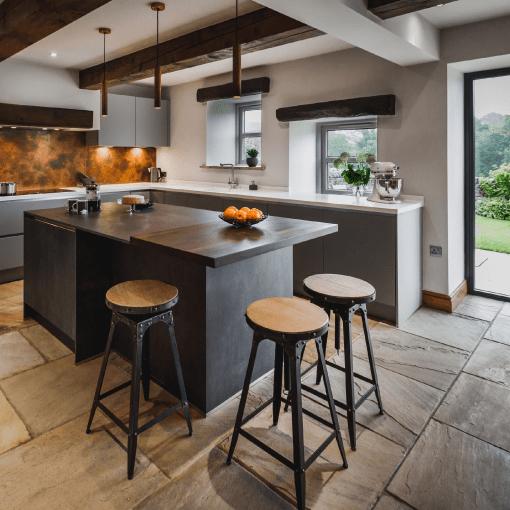 When Nina and Dave approached Kitchen Design Centre to transform the kitchen in their barn in Roughlee, their brief had two distinct parts: look and functionality. 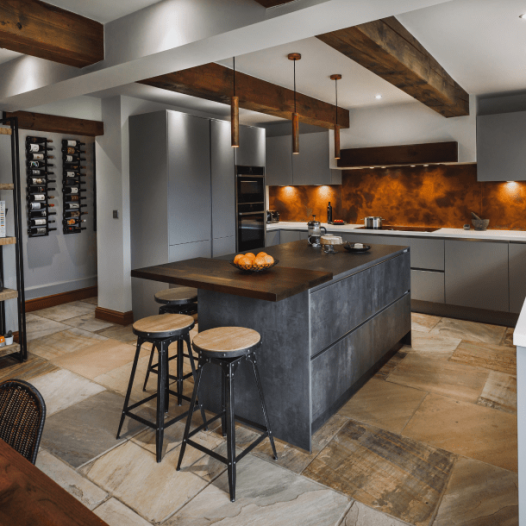 For Nina, aesthetics were important as she wanted clean lines, a minimal look with hints of copper and a design with an industrial edge. 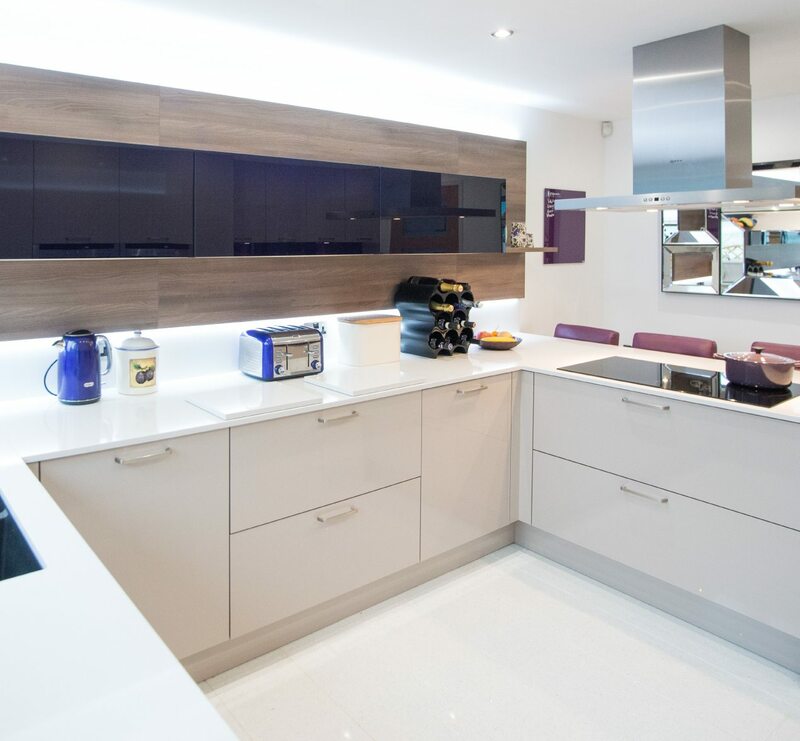 As a keen cook Dave wanted a functional kitchen that was planned perfectly so it was easy to cook in, had adequate storage and the best appliances. 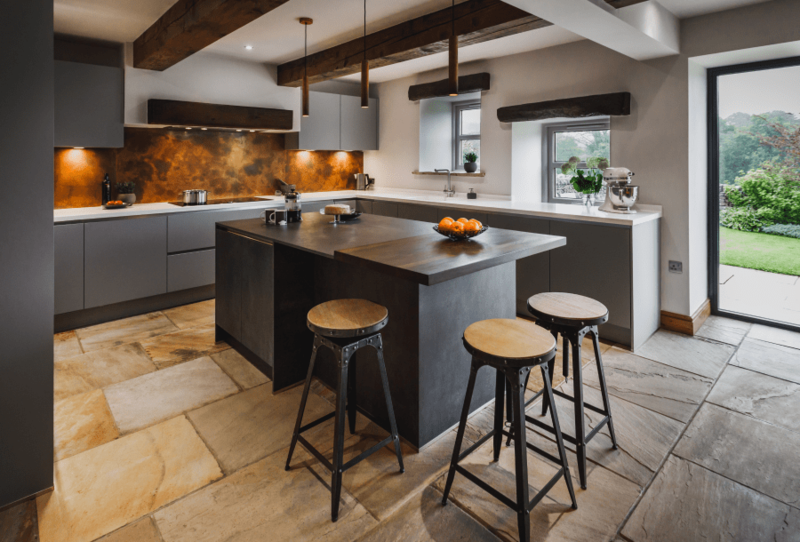 Initially they had a shaker style kitchen in mind, thinking a traditional style would work best in their barn due to its period features such as beams and stone flagged floor. 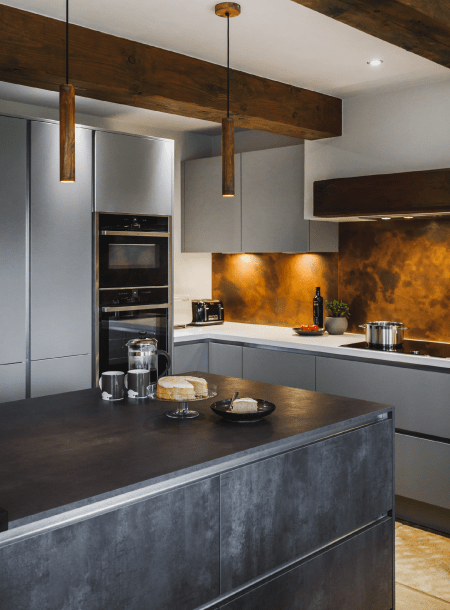 This idea was turned on its head when they met Maxine at Kitchen Design Centre who designed a modern handle-less kitchen. 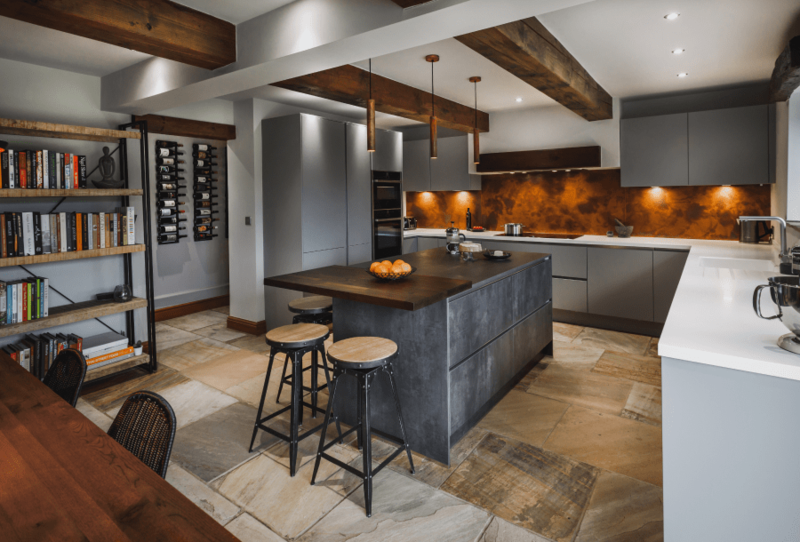 Nina and Dave fell in love with an island display in the new Barrowford showroom and asked Maxine to incorporate this in to the design as they particularly liked the dark grey concrete palate. 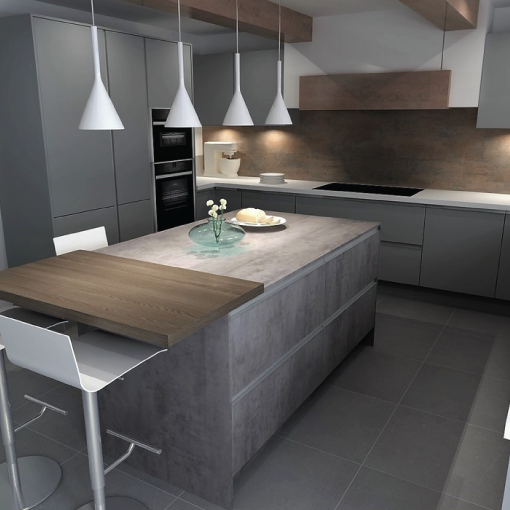 Two shades of grey combined in the kitchen to give the overall look: ultra matt lacquered pearl grey handle-less doors were used together with comet graphite doors on the island and to contrast this, a thick white glacier Corian was used on the perimeter units. 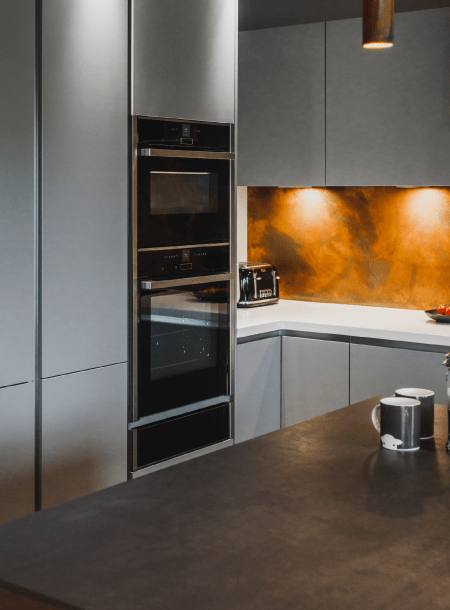 On the island a putty concrete thin laminate was accentuated by the solid wenge wood breakfast bar. Nina also wanted copper colours incorporating but didn’t want it looking twee. 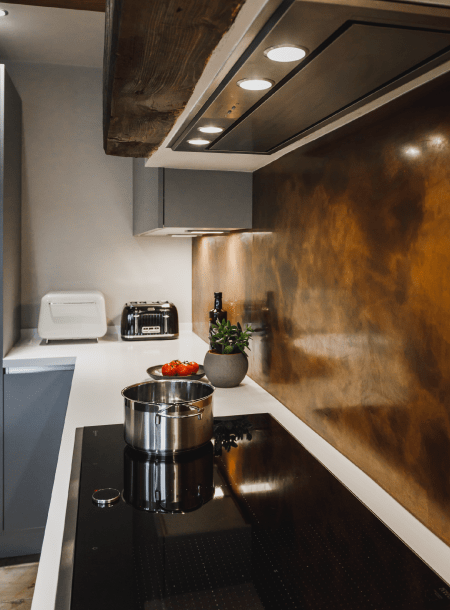 To contrast with the overall grey palate, a striking copper splashback was chosen and then discreet hints of copper were used elsewhere in the room. 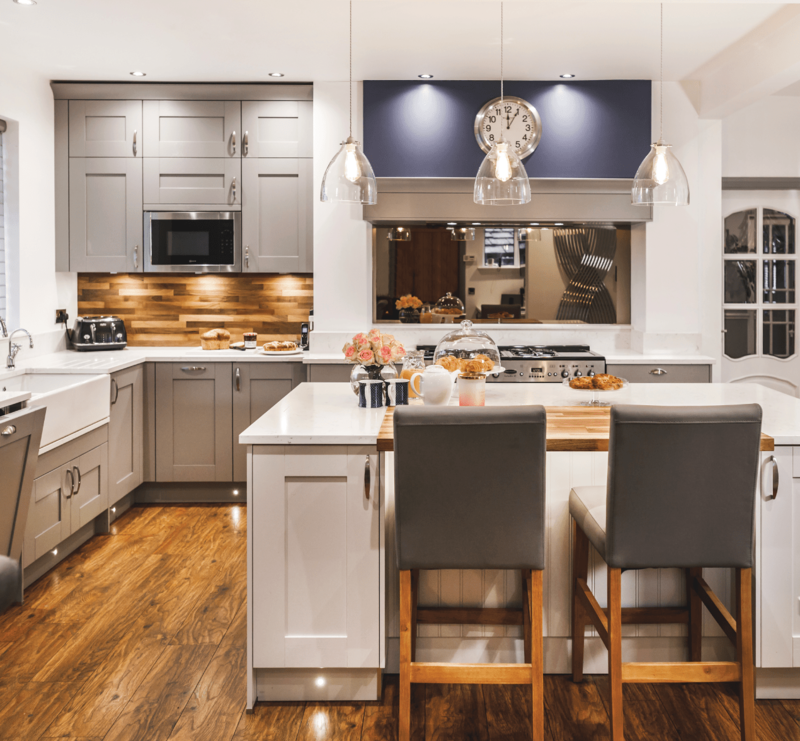 Appliances were important to Dave so Maxine recommended Neff ones throughout: A slide and hide oven, combi microwave oven and warming drawer together with a large induction hob, larder fridge and built under freezer were chosen. In addition to the main cooking area, Maxine designed a bar area in a small space in the corner of the kitchen. 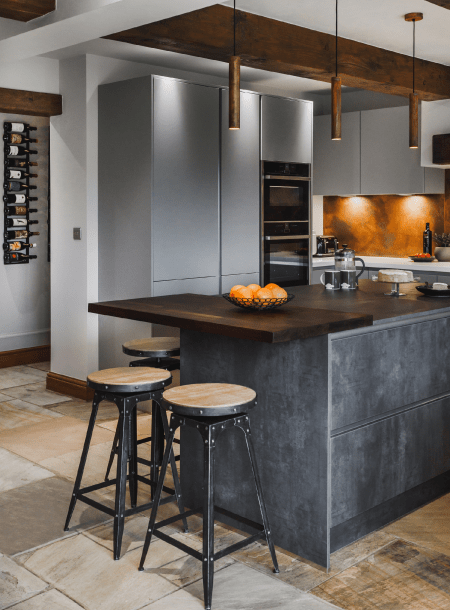 Incorporating a wine fridge, area for spirits together with worktops and shelving, the area matches the kitchen perfectly and more atmospheric lighting makes it feel like a separate area. 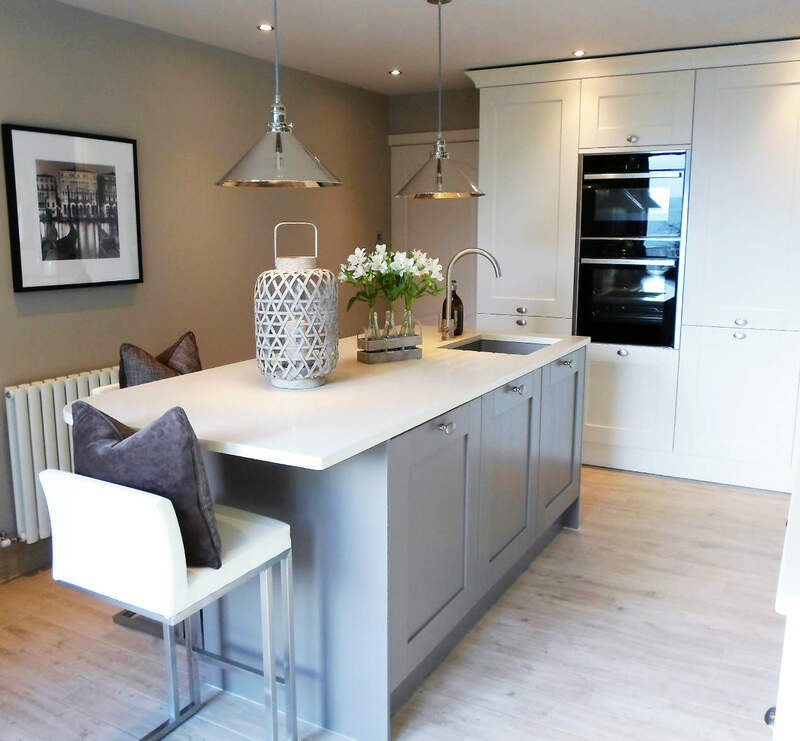 "The new kitchen looks so much bigger and has more worktop space which is brilliant. " "I loved working with Dave and Nina. 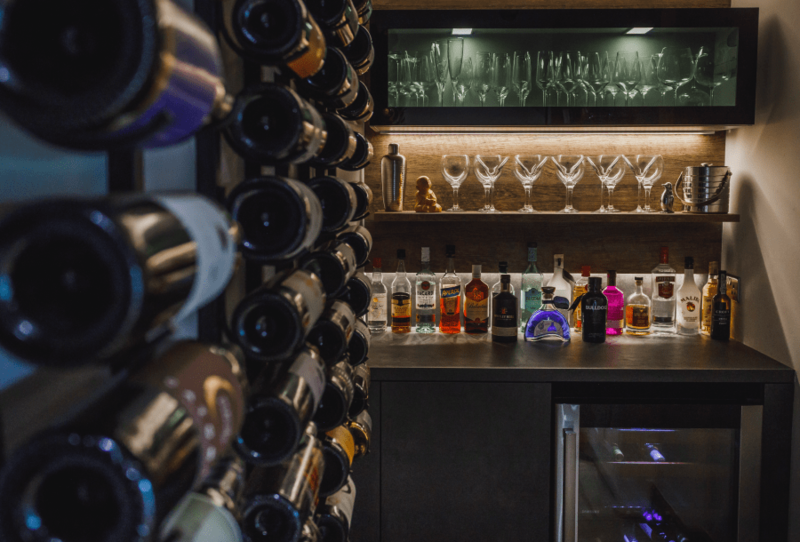 We worked really well together to come up with a fantastic space that looks incredible. Their original kitchen had a peninsular right across the middle which made it look much smaller. 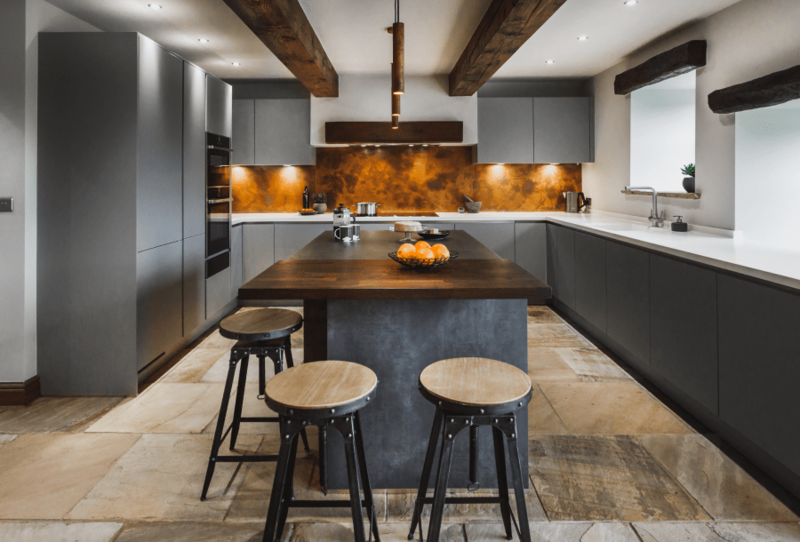 Going for a darker palate throughout was a brave decision but it works well with the beams and flooring. I’m proud of this kitchen. It’s original and complements their beautiful home."